Chinese officials love slogans. I was reminded of this at last month’s China Development Forum, an annual meeting of top Chinese officials, international business people and policy intellectuals. This year’s slogan is “the new normal”, a notion first advanced (to my knowledge) by McKinsey in 2009. Residents of high-income countries are now used to the idea that the performance of their economies has changed fundamentally. But what does new normal mean to the Chinese? At the forum, Zhang Gaoli, the vice-premier and a member of the politburo, characterised it thus: first, “development remains China’s top task”, despite lower rates of growth; second, the old growth model “featuring high input, high energy consumption and over-dependence on external demand is no longer sustainable”; third, the Chinese still enjoy important “strategic opportunities”, and so “are fully confident about our future”. Should we be as confident? I can see two big reasons why the answer should be “yes” and two why it might be “no”. The first reason why the answer should be yes is past performance. China’s gross domestic product per head (at purchasing power parity) has risen from just above 2 per cent of US levels in 1980 to 24 per cent last year, according to the International Monetary Fund. For such a huge country to have achieved this is extraordinary. Whatever we might think of its politics, we have to recognise the competence that underlies such a success, one that has transformed the world economically and is on its way to transforming it politically. The second reason why the answer should be yes is that the country possesses huge strengths and potential. China’s people are famously hard-working, entrepreneurial and education-minded. The national savings rate is close to 50 per cent of GDP (see chart). Thus, despite its high investment rate, the country is a huge creditor. Furthermore, productivity still lags far behind levels in high-income countries. As the Organisation for Economic Co-operation and Development notes in a new economic survey of China: “Given that around half of the population still lives in rural areas, further productivity gains can be achieved through continued migration to cities, which host more productive urban jobs.” Reform and liberalisation of the household registration system will promote such migration. Additional sources of opportunity are today’s defective policies and practices. Returns on investment are falling because of excessive subsidies. The contribution to growth of “total factor productivity” — improvements in the efficiency with which capital and labour are used — is also falling. Planned shifts towards greater reliance on market forces, a more predictable legal system, and stronger household and public consumption, might release the potential for another two decades of catch-up growth, albeit at a more measured pace than in recent decades. With this record and this potential, why should anybody doubt China’s ability to grow quickly for years? The first reason is that growing very quickly is rather like riding a bicycle: it goes well so long as speed is maintained. Once it slows, however, a bicycle starts to wobble. This is why managing deceleration is so hard. The second reason is crucial: the Chinese economy is highly unbalanced. Slowing an unbalanced economy is particularly hard. A salient aspect of the unbalanced economy is the high savings rate and thus its reliance on investment as a source of demand. Yet, as the economy slows, the demand for investment is likely to fall more than proportionately. The reason is that past investment was done on the assumption of annual growth at 10 per cent. With growth substantially slower, excess capacity will be chronic. What do people do when they have excess capacity? They stop investing. That is also why China’s government needs to keep growth up: if it fails to do so, investment might collapse, with devastating effects. That is not all. The combination of a debt overhang with a slowing economy is particularly damaging. Yet that is what the credit-fuelled, property-related investment boom has created. As growth slows so would the ability to service debt, even if underlying investments might ultimately be profitable. This decline in debt-servicing capacity would generate a “balance-sheet recession” in demand. That would add to the adjustment to investment outlined above. This combination is what laid the Japanese economy low in the 1990s. If the Chinese economy is to shift into its new normal on a stable and sustainable basis, it has to avoid any such collapse. To achieve this will require very deft macroeconomic management. It is already easy to imagine that China will end up with short-term interest rates at zero. The central government might soon be forced to increase its fiscal deficit substantially, particularly if heavily-indebted subnational governments were to cut back. The People’s Bank might finance such an increased central government deficit directly. Alternatively, the government might borrow from commercial banks and accelerate development of a bond market. With overall public debt estimated by the OECD at only 50 per cent of GDP, room for further borrowing certainly exists. How China manages these adjustments is fraught with implications for the rest of the world. Already, the country’s slowdown has played an important role in lowering demand for (and prices of) commodities. If a hard landing for domestic investment were to occur, while savings stayed so high, trade surpluses might explode. That would exacerbate the global savings glut at what is already a very difficult time. The world must pray the Chinese authorities manage this transition successfully. The alternative is not to be contemplated. The following is commentary that originally appeared at Treasure Chests for the benefit of subscribers on Monday, March 23, 2015. If asked about 'the rules' of investing, Wall Street will offer endless variations, but never reveal the big one. Because to do this would point out to the legions hapless rubes (average investors) invested in the securities markets these days, that although stocks and bonds have done fabulously over the past six-years coming out of the 2008 financial crisis, still, for those who actually participated this must be looked at as good fortune more than anything else, especially considering you are 'playing another man's game'. Because stocks and bonds are not going up for the right reasons, they are rising due to a growing list of financial engineering gimmicks that do nothing but hollow out and destabilize these markets, with parasitic high frequency trading (HFT) and illicit corporate buybacks topping the roster, bringing the bulk of benefit to a small group of oligarchs at the very top of the food chain. Sure, the spoils are spread around to the dogs to keep them complicit in the game, and in a larger sense it's still Wall Street against (fleecing) Main Street, but make no mistake about it, the real money is going to the top 1% disproportionately, because they set the rules of the game. That's right, the rules are shaped by these people because they buy political influence in the positive feedback loop that is the relationship between Wall Street and the Beltway, the largest collective fraud ring in man's history. And that's why the average investor should not be playing this game, because you take all the risk, and will likely suffer losses (again) in the next collapse because it has been engineered to occur very quickly. What makes it easy is the American public is fixated on the latest Ellen show (or some other distraction), so high level fraud like this goes on everyday because the average village idiot is brain-dead. They will wake up one day when they are not eating - it's amazing how hunger will wake up even the dullest idiot - however this kind of thing can be expected to continue until truly dire circumstances befall the American public - and they abandon the distraction game. As denoted last week in our commentary on what to expect from the Fed, with the exception of the fraudulent Employment Report, most of the economic data coming out in the States (and globally) is now accelerating downward, and in many instances is in contraction, which is getting increasingly difficult to hide. A carefully couched official Policy Statement from the Fed is designed to obfuscate this fact, however it's important to realize this is happening right now, where it could be argued that from macro-monetary perspective, the Fed is already behind the curve, but nobody wants to admit it because this would be tantamount to admitting a global recession (depression) exists. And you would never know this looking at the stock market(s) either. The dominant defining relationship in the nexus is still the stocks to precious metals ratios, with the Dow / Gold Ratio (DGR) and SPX / Silver Ratio at center. And although we don't have a firm projection for the DGR because gold will likely outperform due to an improved COT, this is not the case regarding the later, where you will remember from previous commentary it projects to the 160 - 167 range with a breakout above 140. And while nobody knows how much of such a move would be attributable to rising stocks given a good argument can be made they are topping out (it would take a move above head and shoulders pattern defining 2090 on the SPX to change that view), still, a breakout above 140 looks likely with the silver COT in need of further repair, which should be set in motion this week with the reaction to the Fed meeting. Therein, if the Fed drops the word 'patience' from its official policy statement, and even though other linguistic gymnastics will likely replace this ruse, US price managers and fleeing speculators would smash silver again under the guise the US economy is strong, so who needs this sh*t.
This may take a little time, but it's coming as soon as enough time goes by for traders to forget this week's weak data points. That being said, the important thing to realize here is this is likely the last time these characters will be able to pull this off with bad Kabuki Theatre, because the global de-dollarization process is accelerating while the US is exhausting conventional policy based on the bullsh*t story the American economy is strong. What does this mean? And this is not the only way the dollar($) is increasingly losing hegemony status, where it should noted China is now the world's third largest arms exporter, implying it's an undisputed global power in this arena, and not a country the US can bully into maintaining the status quo. That's the big thing you must realize here, the next few months are likely the last look one will ever have at the 'status quo' as you know it - so you better enjoy it if you're suckling on its teats. Afterwards and increasingly, as signaled by decentralization that will extend into the very fabric of now vulnerable Western societies, it's important to realize that individuals will not have the state to fall back on because of insolvency, and that living standards in America are likely to crash. On top of this, we have a President and foreign relations machine (along with the rest of the imbeciles up and down the Beltway) that is alienating allies as fast as possible these days in everything they say and do, not to mention US technology sales abroad are likely to crash with spy gate, where knowing these characters, the foreigners are now concerned about privacy at all levels - personal to sovereign (because the 'yanks' will do anything to maintain the Empire). So if the $ starts rising again, with the Fed now seeing increasing weakness, this would likely prove negative for stocks, because it would be sign of deleveraging. Foreign speculators using borrowed money in $ would be forced to buy, which would bring a large un-natural bid into the currency, especially if process were to accelerate in panic conditions. Certainly to some extent this is already occurring with those playing in the periphery with Greece becoming a potential bubble popper. Given at this point we are not expecting Greek Tragedy just yet, with the net tribulations only serving to reinforce neurotic trader habits (causing them to bet negative on stocks only to be squeezed out once magical bridge financing arrives again), at the same time, it should be pointed out that in a broader and more profound sense, the majority of investors are not structured for Grexit. And while this kind of risk, let's call it a Murphy's Law view of the market, where sooner or later, something will go wrong popping the present unprecedented bubbles, is bound to occur at some point, it should be remembered it's this exact thinking on the part of active speculators / hedgers that keeps the perpetual short squeeze in motion, which in turn is why hedge funds can't keep up to their benchmarks. The formula that has fueled the perpetual short squeeze in stocks these past years is the growing neurosis across the trading community (causing increased hedging and short selling) set against numerous support mechanisms within the official sphere, where on top of direct government (think treasury, exchange stabilization fund, etc.) and agency (think Fed) support, corporate buybacks could be included since this a critical component of the larger bureaucracy's liquidity mechanism via the banks, who should not be forgotten here - that's for sure. What's more, as long as tech stocks, as measured by the NADSAQ, keep outperforming all else, ranging from the blue chips (see above) to gold (see below), although breadth and volumes will continue to narrow, stock indices will continue to rise. And as you can see above, this remains a likelihood with tech not only continuing to outperform, but doing so in manic fashion. We are now going into the strongest time of the year from a seasonal perspective, and its particularly strong in pre-election years, supporting the hypothesis stocks can extend gains into summer, and beyond. This supports the hypothesis that while the NASDAQ / Dow Ratio may not reach year 2000 highs, still, it can keep rising longer than bearish speculators will be able to remain solvent. Until then, you are playing in Western / Anglo / banker markets that are rigged to exploit traders emotions and neuroses, where the economy and markets are only loosely related and beyond explanation, but somehow always discounting the future according to price manager script. This is why if you must listen closely to what I am about to say because it could literally be a lifesaver for you as process begins to accelerate moving forward. Paul Tudor Jones was out last week talking about the same thing essentially, prognosticating the West is careening towards either revolution, higher taxes, or war, and he's likely right in all accounts. And Mark Cuban was out a few weeks back talking about an impending accident in the stock market(s) because of lack of liquidity. This is a problem that hit the small caps a few years back, then the mid-caps increasingly last, and eventually it will reach the large caps and broad stock measures soon, which will leave only corporate buybacks (as long as money stays cheap) and official buying to support stocks. And like the Bank of Japan, increasingly US central authorities will be forced to start buying stocks directly to support them - but if you don't have your money in the right ones you will lose money. And that's the warning. It's not that you are playing another man's game if you listen to CNBC® - you should know that already. The warning is if you don't have your money in the few stocks that will 'make it' moving forward you could lose big as liquidity dries up one day, where great swaths of the markets could essentially go no bid at some point. And this is not just true of stocks, but bonds too, which may in fact lead the coming carnage. So although gold looks like it still has another leg down in $ terms, still, one cannot ignore these growing risks forever. What we need to clear the baffles for precious metals is a clear capitulation across the sector, where as pointed out previously, a break below 100 in the Amex Gold Bugs Index (HUI) would likely facilitate such a sentiment change. Obviously the people who trade these things think they have the moral high ground, or some other stupidity, and that fundamentals matter in heavy manipulated markets - and they are wrong. Again, Western pricing mechanisms, those things we call markets, are sentiment based betting parlors designed specifically to exploit this naïve thinking. Along this line of thinking, perhaps the biggest question on the financial community's mind these days is when will the $ top out, with nobody seemingly having a good answer. I will offer one, a unique explanation that you will not hear anywhere else. The $ will top out when paper market (derivatives) speculators in the precious metals markets lose their insane bullishness in terms of betting practices, meaning open interest put / call ratios and short interest on key ETF's / futures contracts rise substantially, putting a bottom in the sector. Because it's all about speculation these days, where the $ and precious metals speculators look back and forth at each other (reflected in the price action), taking cues from movement. The parabolic nature of the $'s rise at this point is because the move is so mature and extreme now that nerves are getting frayed, especially if you are a US multinational, now being forced into buying $'s. And while its true capital flows from concerned euro holders (at center) is a large part of the reason (the largest on a fundamental basis), still, speculators will play their part in the larger game, where once the move has run its course, it would not be surprising to see the consensus of precious metals speculators get it wrong again, losing their bullish penchant in favor of 'deflation worries', or some other nonsense. Or does the madness continue until the euro is no more? The global economy is caught in a low-growth trap as innovation withers and the population ages across the Northern Hemisphere. It will not regain its lost dynamism in the foreseeable future, the International Monetary Fund has warned. The IMF said the world as a whole has seen a “persistent reduction” in its growth rate since the Great Recession and shows no sign of returning to normal, marking a fundamental break in historical patterns. This exposes the global economic system to a host of pathologies that may be hard to combat, and leaves it acutely vulnerable to a fresh recession. It is unclear what the authorities could do next to fight off a slump given that debt ratios are already at record highs and central banks are running out of ammunition. “Lower potential growth will make it more difficult to reduce high public and private debt ratios,” the IMF said in an advance chapter from next week’s World Economic Outlook. "It is also likely to be associated with low equilibrium real interest rates, meaning that monetary policy in advanced economies may again be confronted with the problem of the zero lower bound if adverse growth shocks materialise." The developing world is likely to limp on with average growth of just 1.6pc from 2015 to 2020, too little to make a dent on the edifice of public debt left from the Great Recession. The Fund said global bourses have charged ahead of reality, soaring to new highs despite a 25pc slump in levels of business investment since 2008. There has been a chronic lack of spending on the sorts of equipment and computer software that drive gains in competitiveness. “This development is worrying, because business investment is essential for supporting the economy’s future productive capacity,” it said. “In some countries, weak business investment has contrasted with the ebullience of stock markets, suggesting a possible disconnect between financial and economic risk taking,” it said. The great hope is that booming asset prices will trigger a surge of investment, allowing economic fundamentals to catch up with markets. But it is far from certain that this will happen unless governments change policy and launch a blitz of spending on infrastructure and research to unlock frozen capital and set off a virtuous circle. While the IMF has supported quantitative easing in the past, the implicit message is that this form of stimulus chiefly has the effect of boosting asset prices and has proved a very blunt tool for the real economy, at least in the manner currently conducted. It cannot fully counter the effects of fiscal austerity. The IMF says Europe and the US began to falter at the turn of the century. Total factor productivity growth – the primary driver of wealth-creation - slid from 0.9pc to 0.5pc even before the collapse of the financial system in 2008. The emerging world has since succumbed to the same malaise as it runs into structural barriers and exhausts the low-hanging fruit from easy catch-up growth, forcing the IMF to downgrade its global growth forecasts repeatedly since 2011. Productivity in these countries has almost halved from 4.25pc to 2.25pc since the Lehman Brothers crisis and is likely to fall further as they hit the “technology frontier”, where the middle income trap lies in wait for any that fail to adapt in time. Many need root-and-branch reforms of their product and labour markets, and an assault on excess regulation. The report almost seemed to describe a spent world where the great leap forward from the computer age and the internet is already over and little more can be squeezed out of universities as the “marginal return to additional education” keeps falling. Casting a shadow over all else is the demographic crunch. The working-age population will be shrinking at a rate of 0.2pc a year in Germany and Japan by 2020, with Korea close behind, and China following on hard. Almost the whole of Eastern Europe faces an ageing crisis. Whether the world really is nearing the end of its growth miracle is a hotly disputed theme. Ben Bernanke, the former chairman of the US Federal Reserve, insisted in a recent inaugural blog for the Brookings Institution that the US economy would right itself naturally as so often before. He reminded pessimists that leading economists fretted about the end of growth in much the same way during the Great Depression. Harvard’s Alvin Hansen – the leading American Keynesian of his age – coined today’s vogue term “secular stagnation” in 1938, arguing even then that population growth was slowing and the big advances in technology were mostly finished. He lived long enough to witness three decades of spectacular global progress after 1945. The rapid spread of cheaper but good-enough weaponry poses a serious threat to U.S. military dominance. Precision weapons and networked targeting have helped maintain America’s military superiority for decades. But technology marches on. New defense exporters are joining the global game with advanced and well-priced offerings, creating potential threats to the U.S. and its allies, and weakening Western influence. The Pentagon has a plan to cope with these evolving threats, but is it enough? To understand what’s happening, consider the global automotive industry. South Korea’s Hyundai Motors became a serious global competitor by leveraging the rapid diffusion of technology, an initial edge in cheap labor, and a “good enough” product for value buyers. Their success wasn’t obvious in 2001, but by 2015 the proof was in our parking lots. A similar “Hyundaization” process is under way in the global defense industry. A few examples: NATO allies Turkey and Poland didn’t buy their latest self-propelled howitzers from the U.S. or even Germany. Instead they turned to Samsung. South Korea’s Daewoo is building Britain’s next naval supply ships, and Korea Aerospace Industries is exporting TA-50 and FA-50 fighter jets to Iraq, Indonesia and the Philippines. The F-16 is America’s cheapest fighter; the new Korean, Pakistani and Indian fighters cost about 33%-50% less. If you’d rather pocket a 67% savings, Brazil’s A-29 Super Tucano has become the global standard for counterinsurgency. An urgent order from the United Arab Emirates is likely to see combat in Yemen soon. The long-term threat involves the spread of precision-strike weapons that can hit what modern surveillance “sees.” In addition to Russian and Chinese exports, Turkey has begun to export new guided weapons, including a stealthy cruise missile. India’s Mach 3 Brahmos antiship missile is available, as are GPS-guided equivalents to Boeing’s JDAM, including the UAE-South-African Al-Tariq or Brazil’s Acauan. Pakistan has already bought Brazil’s MAR-1 radar-killer missiles for its JF-17 fighters. There are other examples. America’s surveillance-strike capabilities helped defeat Iraq’s military in two wars. Now Western militaries must plan to face evolving versions of the same thing. Western navies and their marine forces, which routinely place themselves within harm’s reach during deployments, expect that these surveillance-strike capabilities will be more common a decade from now. In addition to challenging the U.S. defense industry, this proliferation of value-priced and “good enough” weapons will challenge Western diplomatic and military relationships in two ways. First, it’s hard to overstate the value of personal relationships with foreign militaries, which often begin through equipment training and support programs. As we’ve seen in Pakistan, Egypt and elsewhere, today’s colonel may be tomorrow’s president. Second, the flood of choices in the global marketplace will make it harder to withhold advanced weapons from specific regimes, reducing Western leverage throughout the world. In the 1990s it was widely understood that Western opprobrium would have a meaningful impact on one’s military. By the 2020s, that idea will seem quaint. How is the U.S. responding? With technology. Last November then-Secretary of Defense Chuck Hagel unveiled the Pentagon’s “third offset” strategy, designed to develop new technologies as a follow-on to the first two “offsets”—nuclear weapons and precision-guided munitions. The Pentagon plans to shore up its eroding edge by investing in fields like cyberwarfare; advanced computing and big data; robotics and autonomous weapons; advanced manufacturing techniques like 3-D printing; and electromagnetic weapons like railguns and lasers, to boost naval firepower and replace some land-based defensive weapons. At present, the third offset is merely a statement of intent. The question is whether it would be adequate even if fully executed. Countries whose civilian companies must master big data, for example, can transfer that expertise to their military. Ditto for cyberwarfare, as Iran and North Korea have demonstrated. Passive radars using superfast computing and big data might even compromise today’s stealth technology. Meanwhile, Islamic State is already using lightweight commercial drones, and Peter W. Singer’s recent book “Wired for War” cites 87 countries with military robotics programs. The West can’t stop Hyundaization, but market barriers like limited investment capital, technological chokepoints, the role of politics in purchasing, and the difficulty of setting up global service networks will slow it down. 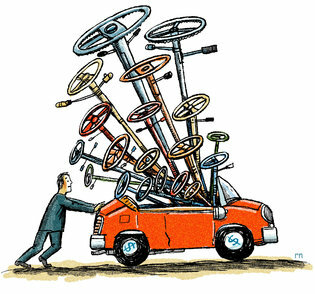 Nevertheless, Hyundaization is happening, powered by a global tsunami of techno-industrial momentum. Western governments have a number of policy options to address the numerous military and diplomatic threats Hyundaization presents. But this much is certain: A serious response will have to think beyond technology. Mr. Katzman is editor emeritus of Defense Industry Daily and the principal at KAT Consulting. In a world of competition for scarce resources, corporations face some natural limits on how much they can earn. For one thing, if business is too profitable it attracts a deluge of new entrants who drive down margins -- and make stupid investments that screw things up for everyone -- thus causing a broad-based recession that craters corporate profits. And when it's perceived that companies are taking too much (as when CEO salaries and executive stock options become obscenely generous compared to worker salaries), the other players, including government and labor, start grabbing what they see as their fair share. That's happening now with the higher minimum wage movement and government attempts to close offshore tax loopholes, among other things. So corporate profits tend to be cyclical, rising as a share of GDP in good times and then plunging during recessions. The chart below has this number at a new record high. In other words, every time it has been anywhere close to today's level the result has been a nasty mean reversion. If corporate profits are way up it makes sense that stock prices would be too. And they are: The value of US equities as a percentage of GDP is at the second highest level ever, below only the dot-com bubble peak. Again, not the kind of number that has in the past preceded good times. "Total Securities" as a percentage of GDP is helpful for Bubble Analysis. After beginning the nineties at 173% of GDP, "Total Securities" ended the Bubble year 1999 at an unprecedented 341%. The bursting "tech" Bubble saw this ratio decline to 267% to end 2002. Mortgage finance Bubble reflation then pumped this ratio to a record 360% by the end of 2007. The Bubble burst and "Total Securities" ended 2008 at 297%. Six years of incredible monetary inflation had Total Securities ending 2014 at a record 417% of GDP. The consistency of these trends implies that either this time is very, very different or a cyclical peak is close at hand. First it was interest rates. Now it is inflation. Zero is becoming an uncomfortably familiar number. Unpicking the puzzle of ultralow inflation is vital for both policy makers and investors. Even factoring in lower oil prices, the current readings are remarkable. Annual headline inflation in the U.S. was zero in February. Before its dip into negative territory during the global financial crisis, it had been positive since 1955. In the U.K., where even in 2009 inflation never fell below 1%, consumer prices were flat in February, year over year, for the first time since 1960. In Japan, inflation in February excluding food and taxes was zero. And in the eurozone, the flash reading for March shows consumer prices down 0.1% from a year earlier. Inflation has fallen despite unprecedented monetary policy. Rates are close to zero and trillions of dollars’ worth of quantitative easing has been unleashed. Ultralow inflation also stands at odds with falling unemployment. In Germany, for example, joblessness is at a record low since reunification, yet inflation stands at just 0.1%. Wage inflation has shifted into a lower gear from precrisis levels. So far, however, markets and central bankers seem more worried than consumers. Extraordinarily low long-term bond yields paint a grim picture of the future; falling market measures of medium-term inflation have flustered central bankers, in particular at the European Central Bank. Even in the U.S., the five-year/five-year forward measure of inflation has fallen. That is puzzling. 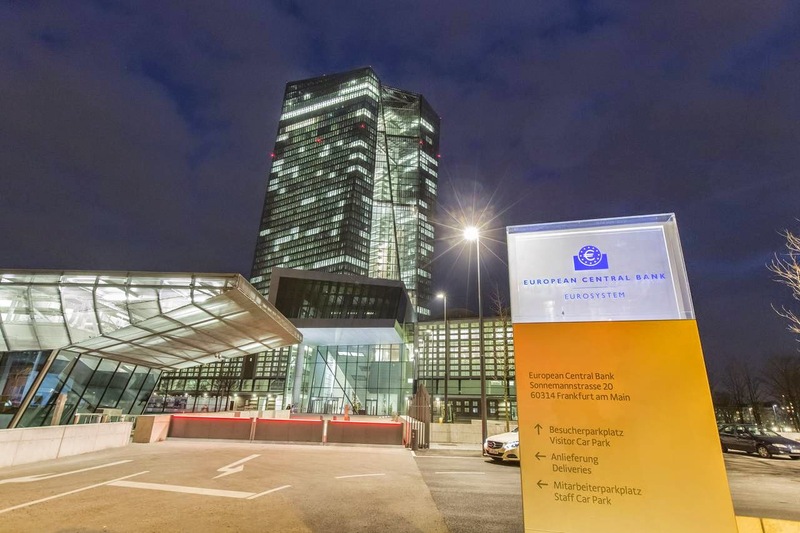 The ECB might have a credibility problem in terms of its willingness to push inflation higher, given its Bundesbank heritage and rate increases in 2008 and 2011. But the Federal Reserve should have fewer problems: Indeed, there have been hints that inflation running above target for a while would be no problem. Still, markets appear worried. Consumers seem less fazed. Surveys of European and U.S. consumers show stable inflation expectations over the medium term, even though they often extrapolate from current levels. Markets seem more guilty of that at present: The puzzling decline in U.S. inflation expectations is highly correlated with the fall in oil prices. Markets may in fact be fretting more about central banks. With interest rates trapped close to zero, policy makers have little room left to maneuver against falling inflation; Japan’s experience is a nagging reminder of that. There may be a historical bias at work. Many view central banks such as the Fed as essentially institutions for fighting inflation rather than forces for stoking it. And a lot of current policy seems to be aimed at redistributing inflation through currency shifts. Central banks may also be facing pressures that are less amenable to domestic monetary-policy solutions, such as globalization and demographic shifts. An important indicator now will be wage inflation, particularly in the U.S. and U.K. Job gains have put the so-called nonaccelerating inflation rate of unemployment, or NAIRU, in focus. This may be lower than in the past, due to structural changes in the labor market. But if unemployment falls further and wages remain subdued, central banks will face an even bigger inflation puzzle. In such an unusual situation, their reliance on extraordinary measures may become ever more ordinary. How do you know what "your" forex market will do tomorrow? You don't. We don't. Nobody does. All anyone can do is guess. But some guesses are more "educated" than others. "Markets are doing what they are supposed to be doing: inflicting the most pain on the most number of people. Markets fool the most number of people at the most unexpected moments, but by tracking Elliott wave patterns, sentiment (and the news) you can prepare yourself. "What separates Elliott wave fans from the rest of the public is that the public has no basis for determining when the trend may be over." Let's take a look at a recent example: namely, price action in EURUSD on April 5-7. Since the mid-March low in EURUSD, Jim and his Currency Pro Service team have been tracking a "messy" Elliott wave pattern in the euro-dollar: a correction. "Messy," because corrections are just that: choppy, overlapping, often directionless moments when it's just plain hard to make heads or tails. Yet, under Elliott wave analysis, even corrections have rules and guidelines. There are 13 known corrective Elliott wave price patterns, and if you nail what part -- and of which pattern -- you find yourself in right now, you can make a strong case about where the market will go tomorrow. The EURUSD recovery carried into Friday and, as a result, we have to consider the idea the rise from 1.0462 is incomplete. We've been considering the idea the euro decline ended at the recent low. The problem is the structure of the subsequent recovery. It is not clearly impulsive. That means it could represent a correction. That's just one example of how you can make "educated guesses" about the market's direction using Elliott wave analysis. We have plenty more! Will China’s Infrastructure Bank Work? CAMBRIDGE – With China set to lead a new $50 billion international financial institution, the Asian Infrastructure Investment Bank (AIIB), most of the debate has centered on the United States’ futile efforts to discourage other advanced economies from joining. Far too little attention has been devoted to understanding why multilateral development lending has so often failed, and what might be done to make it work better. Multilateral development institutions have probably had their most consistent success when they serve as “knowledge” banks, helping to share experience, best practices, and technical knowledge across regions. By contrast, their greatest failures have come from funding grandiose projects that benefit the current elite, but do not properly balance environmental, social, and development priorities. Dam construction is a leading historical example. In general, there is a tendency to overestimate the economic benefits of big infrastructure projects in countries riddled by poor governance and corruption, and to underestimate the long-run social costs of having to repay loans whether or not promised revenues materialize. Obviously, the AIIB runs this risk. That said, there are huge infrastructure needs across developing Asia, and it is high time for China to play a greater role in international lending institutions. Moreover, the official US argument – that China should invest its money in existing institutions, such as the World Bank and the Asian Development Bank, because a Chinese-led bank would likely have governance problems – smacks of hypocrisy. Good governance? Is the US prepared to relinquish its historical prerogative to choose the World Bank president? Likewise, the US worries that China may use the AIIB to advance China’s economic and political interests. But anyone who is even vaguely familiar with the US approach to multilateral lending knows that no other country has been as adept at exploiting its power and leverage for strategic gain. With China’s growing importance in the world order, it needs to be given space to forge its own approach to global economic leadership. Frankly, a relatively small infrastructure bank seems as good a place as any to start. Besides, China is already pouring money into the developing world, often through highly opaque channels. To the extent that the AIIB normalizes a portion of Chinese development assistance, and subjects it to scrutiny from the new bank’s advanced-country members, the new bank’s existence should be all for the better. With its penchant for constant experimentation and improvement, one might even hope that China will draw lessons and apply them to all of its developing-country lending. Who knows, maybe the existing development banks will learn something. While the world should generally welcome China’s initiative, the real question is what kind of aid developing Asia needs. Anyone who has worked in developing countries understands that weak institutions and poor governance are often far bigger obstacles to growth than a lack of funds. And, however great a project looks on paper, practical implementation is often a sobering experience. Costs invariably far exceed initial estimates, and planners often woefully underestimate the skills and funding needed to ensure maintenance and repairs. My interpretation of the World Bank’s record is that its role has been most consistently positive when it helps countries with “soft” development infrastructure: technical assistance and serving as a global knowledge bank. When its main role has been to provide financial muscle, the results have been less impressive. In China itself, for example, World Bank money has not been so important quantitatively, yet the Chinese generally credit the Bank for having helpful blueprints and information. Indeed, a strong case can be made that development aid would be more effective if it took the form of outright grants, rather than loans that ultimately need to be repaid. Headline aid numbers might seem less impressive, but long-run results would be better. Moreover, the world is awash in liquidity right now, and even where a government’s own money is inadequate, it is often possible to establish public-private partnerships to build genuinely high-return projects. Competent government is a far scarcer commodity than cash. Unfortunately, it is far from clear that the Chinese model of infrastructure development can be exported universally. China’s strong central government overwhelms opposition from people displaced by new roads, bridges, and dams, and for many years ran roughshod over environmental concerns and workers’ rights. The parallels to the old Soviet Union are striking. Some developing countries in Asia work differently. In democratic India, for example, it took eight years to rebuild Mumbai’s airport, because courts forced the government to respect the rights of squatters on its outskirts. Given the legacy of problematic loans and projects funded by Western-led infrastructure banks, it is reasonable to ask whether another one is needed, as opposed to reforming existing institutions. Still, if the AIIB views itself mainly as a knowledge bank, rather than a funding vehicle, it could provide real added value. We should evaluate the AIIB by how it chooses and fosters projects, not just by how much financing it provides. 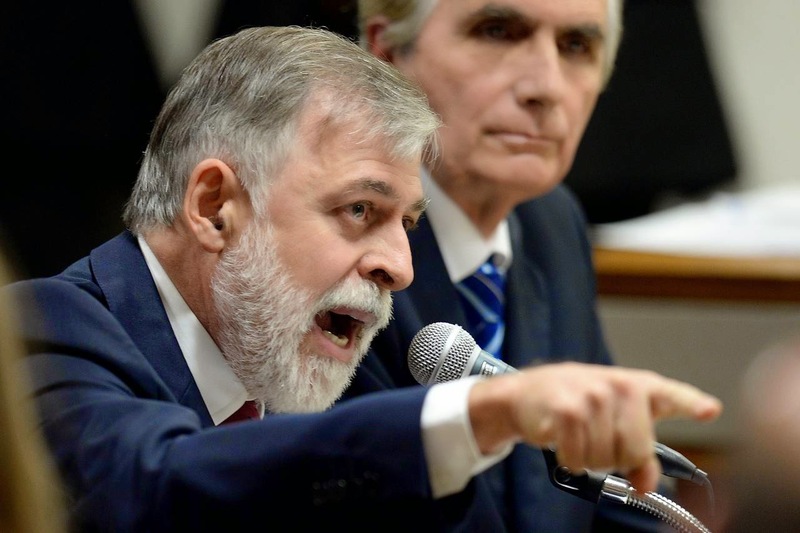 CURITIBA, Brazil—Last summer, a haggard-looking former oil executive stared across a table at six stone-faced federal prosecutors in a cramped office in southern Brazil. For weeks, he had promised to tell what he knew about a suspected money-laundering scheme but kept holding back, according to prosecutors. Then, he learned they were investigating his family, too, for potential evidence tampering. Paulo Roberto Costa began to talk. For nearly 10 years as a senior executive at Petróleo Brasileiro SA, known as Petrobras, he took bribes from the country’s biggest construction firms, allowing them to skim hundreds of millions of dollars from the state-controlled oil company through inflated contracts, according to an account Mr. Costa gave to prosecutors and eventually to Brazil’s Congress. Other executives and Brazilian politicians got a cut of the cash, he said, while a web of money launderers helped them hide some of it overseas. Police soon raided dozens of homes, turning up sports cars and safes filled with money and jewelry. They seized so many valuable paintings allegedly bought with bribery proceeds, including a Salvador Dalí, that they allowed a museum to exhibit some of the works. Mr. Costa’s account cracked open a scandal that has riveted Brazil, sparking political and financial turmoil in the world’s seventh-largest economy. Nicknamed Operation Car Wash, it has forced the resignation of top management at Petrobras, pounded the company’s stock, led to project cancellations and thousands of layoffs, and threatened to tip Brazil’s economy into recession. Nearly 50 federal lawmakers, past and present, are under investigation. Mr. Costa is now under house arrest and is cooperating with prosecutors. He decided to do so to protect his family, said his lawyer, João Mestieri, as well as to “redeem himself.” The lawyer said that in a plea deal aimed at receiving a lesser penalty, Mr. Costa admitted to corruption and sending money abroad, since returned. Ripples from the affair have reached Brazilian President Dilma Rousseff, who was chairwoman of Petrobras during much of the alleged corruption. She has denied knowledge of it and hasn’t been implicated. Even so, her approval ratings have plunged. More than a million people protested in cities across the nation on March 15, many calling for her to resign. Amid the public outrage and soul-searching about squandered potential, it is easy to overlook another side to the scandal: Brazil’s law-enforcement and judicial organs have begun to emerge as independent institutions. The case exploded onto the national scene under the direction of nine little-known prosecutors who are taking on some of the most powerful forces in the country. Many studied abroad, and they are using strategies relatively novel in Brazil, such as the plea bargain. Local media call them the Nine Horsemen of the Apocalypse. 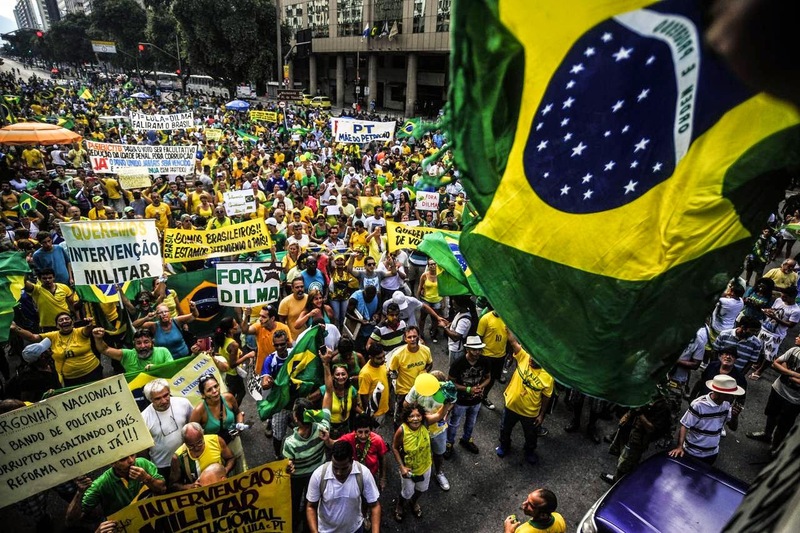 Their success or failure in the high-profile case will go far to determine whether Brazil can break a long history of corruption with impunity, a legacy that many say has hampered the economy and trust in government. Brazil ranks 135th out of 144 countries in the proper use of public funds, according to a recent report by the Swiss-based World Economic Forum. Construction executives have been slapped into handcuffs and frog-marched to jail in front of television cameras, a jaw-dropping spectacle in a country where the rich and powerful are accustomed to privileged treatment. Four former Petrobras executives and at least 23 construction executives have been charged with crimes such as corruption and money laundering. Some have admitted wrongdoing in exchange for lesser punishment, prosecutors say, while others have denied involvement and await trial. Lawyers representing the companies and their executives either denied involvement, said they were cooperating or didn’t return requests for comments. So far, there have been no trials or convictions. Now the case is entering its most critical, and potentially explosive, phase. Brazil’s Supreme Court in March gave prosecutors the go-ahead to investigate 48 current or former members of Congress. Among them is a former Brazilian president, Fernando Collor de Mello, who was impeached in 1992, barred from politics for almost a decade and then won a senate seat in 2006. He has denied wrongdoing. Last year, two decades after his impeachment on corruption charges, the Supreme Court found him not guilty. In some respects, the corruption scandal is a byproduct of a political culture that encourages horse trading, analysts here say. For one thing, many top positions at Petrobras are politically appointed. Secondly, Brazil’s Congress includes legislators from numerous small parties—sometimes called “parties for rent”—that survive by helping major parties form coalitions in exchange for a patronage posts and other perks. Under Brazilian law, elected officials are tried by the Supreme Court, where convictions of politicians have been rare. The court currently has 10 judges, seven appointed by President Rousseff or her predecessor and ally, Luiz Inácio Lula da Silva. Prosecutors say bribery appears to have begun as early as 1997. Construction firms wanting to do business with Petrobras agreed to pay bribes to Petrobras executives, who would inflate the cost of the contracts. The bribes were around 3% of the inflated contracts, according to testimony to Congress by Mr. Costa and another former manager who has struck a plea deal, Pedro Barusco. The two said Petrobras officials brokering the action took a cut of the cash from the inflated contracts, funneling the rest to a slush fund for lawmakers and political parties. Prosecutors say around 230 businesses are being investigated, and a total of more than $700 million may have been stolen. A former Petrobras chief executive said earlier this year that write-downs of inflated values would probably total at least $1.2 billion, maybe much more. Petrobras hasn’t made a public estimate. The company regards itself a victim of the alleged scheme and says it is cooperating with investigators. The former Petrobas manager Mr. Barusco—who prosecutors say has returned to Brazil $44.6 million stashed in Swiss bank accounts—testified at a March congressional hearing that the ruling Workers’ Party got twice as much bribery money as he did, passed to the party treasurer. The treasurer, charged with corruption and money laundering, has denied wrongdoing, as has the Workers’ Party itself. A lawyer for Mr. Barusco didn’t respond to requests for comment. Operation Car Wash, so-named because an early break in the case occurred at a gas station owned by a suspect, came about almost by accident. As investigators in southern Parana state were tracking the activities of an admitted money launderer named Alberto Youssef, they discovered that he had given a Land Rover Evoque worth $78,000 to Mr. Costa, the former Petrobras executive, in 2013. That caught the attention of Deltan Dallagnol, a Harvard Law graduate who is a federal prosecutor in the southern city of Curitiba. Search warrants turned up enough evidence to charge Mr. Costa, and prosecutors obtained leads on other Petrobras executives who appeared to be doing business with Mr. Youssef. Mr. Youssef agreed to cooperate in exchange for a reduced sentence for money laundering, according to prosecutors. His lawyer said he denies other charges, such as corruption. Mr. Youssef, who is in jail, declined to be interviewed. Sensing they were onto something big, Mr. Dallagnol, 34 years old, and fellow prosecutor Carlos Fernando dos Santos Lima, a 50-year-old Cornell University law graduate, put together a team to pursue their leads. They picked colleagues they considered trustworthy who were willing to relocate to Curitiba. The prosecutors have sought to keep the probe centered in the middle-class city of two million, far from the spotlight of São Paulo and Rio. Bolstering their efforts is Sergio Moro, a federal judge in Curitiba who has issued many of the warrants in the case, and prosecutors say the local branch of the federal police helped gather evidence. The prosecutors have fought several defense-lawyers attempts to divide the case into pieces that would be handled in different jurisdictions. Most members of the team, whose median age is 36, attended top law schools in the U.S., Europe and Brazil, but they aren’t widely known in Brazilian legal circles. They have organized themselves more like a law firm than a typical prosecutorial team. Each has a specialty, such as money laundering or wire fraud. The prosecutors often dine and socialize as a unit, and they keep their communications private by avoiding email and relying on the encrypted messaging app Telegram. Instead of using the phone or delivering legal papers by mail, they travel to meet suspects and witnesses in person whenever possible. Among the reasons is to emphasize the importance of the case. The prosecutors rely heavily on plea deals, a technique not commonly used in Brazil in the past. They have struck 12 plea bargains so far, many involving money laundering, and expect more. Their top witness, Mr. Costa, worked at Petrobras for 35 years, he has told prosecutors, rising to a level where he oversaw multibillion-dollar refinery projects before leaving in 2012. Prosecutors said that in hours of interviews, Mr. Costa detailed how and where he received bribes and from whom. Mr. Costa is under house arrest in an upscale neighborhood in Rio de Janeiro. When prosecutors need him to clarify something, they arrange a call via Skype from a computer in their office. Part of his plea deal is he has to answer their calls, night or day. What sparked a probe of Costa family members was that some were caught by a security camera taking documents and money from Mr. Costa’s consulting firm after his arrest in March of 2014, according to court documents. One of the lawyers representing the family members declined to comment on their guilt or innocence, saying details of Mr. Costa’s plea agreement are confidential. The final effect of Operation Car Wash may not be known for years. Law firms on the defense side are looking to pick apart the prosecutors’ work. One has filed a motion to dismiss Judge Moro from the case. Another is seeking to throw out all evidence from BlackBerry instant messages. Some in Brazil worry that politics could trump justice. In February, the minister of justice met privately with lawyers for the largest construction company, Odebrecht SA, several of whose executives are among those arrested. 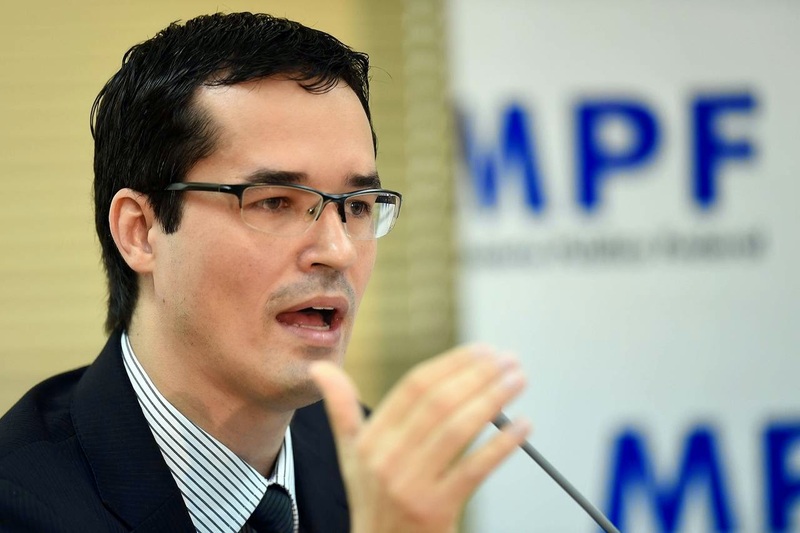 The minister, José Eduardo Cardozo, said at the time that officials had a duty to meet with lawyers and that Odebrecht sought no special treatment. A lawyer for the company said she asked for the meeting to complain about leaks to the media. Pressure is growing to reach deals with construction companies paralyzed by the scandal, to protect the economy. Prosecutors are vehemently opposed, mindful of how, in the past, companies cut deals that made charges against their managers go away. Two deals have been struck with construction companies, in which they admitted to wrongdoing and agreed to provide additional information. The prosecutors have ambitions beyond Operation Car Wash. They want to rewrite sections of Brazil’s criminal code that they say make it too easy for the rich and powerful to escape with wrist slaps. Via the attorney general, they recently sent Congress a list of proposed changes. If you are lucky to earn more money than you need each month, there was probably a time when you could have used some advice about how best to spend, save and protect it. But if you looked around for a big national firm that swore to do the right thing, you would not have found it. Doing it right means putting your interests first, investing in index funds or similar investments, making money only through reasonable fees and not commissions earned from pushing complex life insurance policies, and talking to you in depth about your entire financial life and your goals and dreams. So when LearnVest came on the scene in 2009, there was cause for some optimism. The company’s goal was to bring financial planning to the masses for what is now a $299 upfront fee plus a $19 monthly subscription. Yet even with nearly $75 million in venture capital money to play with, it doesn’t have 10,000 customers signed up for its standard plan. We know this because LearnVest reported that modest client number in the announcement late last month that it was being acquired by Northwestern Mutual, a giant insurance company. Northwestern Mutual has an army of 16,000 or so agents pushing things like variable annuities. So the announcement had the subtext of a kind of capitulation. That brings up two questions: Why is it so hard for any start-up or established company to provide the right kind of financial planning to large numbers of people? And what is so wrong with all of us that we are unwilling to pay for the good stuff when it is being offered? Traditional brokerage firms once made plenty of money through commissions that paid their financial professionals over the many years that clients held onto certain mutual funds. This was often quite bad for the clients, since those commissions were paid for with high fees that came out of their annual returns. It was doubly bad when the funds almost inevitably underperformed basic stock indexes like the Standard & Poor’s 500. Meanwhile, insurance agents sold those messy annuities or investments wrapped in complicated life insurance policies. Here, too, the salespeople drew handsome compensation, but the customers would often have been better off buying some cheap index funds and holding them for decades while purchasing some simple term life insurance on the side for $50 a month. Customers and financial advisers who saw the light sensed that the best way for consumers to pay for advice was to hand over money directly to the advice giver, perhaps on an hourly or monthly basis or by paying 1 percent of their assets each year. But as LearnVest has now proved, even at a superlow price, it’s hard to get enough people to do that to build a big company. Even when the advice is truly free, people sometimes don’t want it. As Kenneth Feinberg, the administrator of the Sept. 11 victim compensation fund, wrote in The New York Times last month, just 78 out of 5,300 eligible claimants took up the offer of assistance from Goldman Sachs, JPMorgan Chase and others, even though many of them were receiving seven-figure payments. So what is so hard about talking people into it? Admitting that you need help is hard. There is shame in having gotten money wrong so far, or shame that you can’t figure it out or shame that it’s taken so long to start. Then, there’s the financial commitment, which is right there in all of our faces if we work with advisers who make money only through fees that they charge us directly. 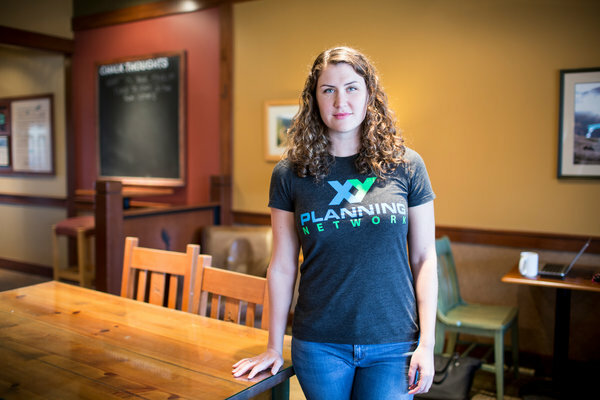 Planners who are part of the XY consortium must offer a monthly subscription, and Sophia Bera, an adviser in Minneapolis, directly tackles the challenge of explaining it. She says she pays $135 each month for unlimited yoga and other friends pay the same thing for CrossFit or cable. If you’re going to pay that much to care for your body and entertain your brain, then logic would dictate paying about the same amount to make sure you’re saving and spending your money in a safe way. What won me over to paying for financial planning wasn’t any lack of knowledge but a lack of time. As 2008 ended with the markets in free-fall, I knew I should sell some bonds and buy some more stocks to rebalance the various household retirement accounts. But it was going to be such a chore, and I was busy trying to figure out what was going on so I could write about it and calm people down. I didn’t ever make the time, and had I bought more stock at the bottom, it would have made an appreciable difference in our retirement balances today, let alone 30 years from now. The growing complexity of our financial lives flummoxes plenty of people, too. The alphabet soup of I.R.A.s, F.S.A.s, H.S.A.s, 401(k)’s and 529s doesn’t go down all that easy. Still, even a burning desire to finally pay for help doesn’t make it easy to find the right helper. Asking friends and family isn’t always useful, since they may have no idea if they are being ripped off. The first person we worked with ended up going to jail for stealing other people’s money. In addition to Mr. Kitces’s fledgling network of professionals, the Garrett Planning Network offers a much longer list of possibilities of advisers who are willing to work by the hour instead of by the month. They are certainly worth a look, as are the planners affiliated with the National Association of Personal Financial Advisers, though they will often work only with people who have many hundreds of thousands of dollars to invest. Then, there is the index fund giant Vanguard, which is slowly rolling out its Personal Advisor Services offering. With that service, clients with more than $100,000 to invest can pay 0.3 percent in fees each year to have Vanguard run their money for them plus call on a human adviser for guidance on other matters like savings, spending rates in retirement and tax minimization. People with more than $500,000 with Vanguard talk to the same person each time. Here’s hoping that those insurance agents in the field agree to sign a fiduciary pledge to act in their clients’ best interests, put their money in basic index mutual funds instead of something more complex, give them simple term life insurance unless there is clear imperative to do otherwise and make all fees and commissions utterly transparent. Even in 2015, we’re still waiting for a big national firm to take these steps.